Toronto and East York Computer Services – Desktop, Workstation & Laptop Repair Services General Laptop, Workstation and Desktop repair and servicing in the Danforth, Beaches and rest of East York. We provide computer help in the Toronto area with focus in the Danforth and Beaches area for same day support. We service most area’s of the GTA specially East York, Beaches and Danforth. We are located in the Pape/Danforth location and provide same or next-day service within the Danforth – Beaches area. We offer Computer repair services, Laptop Repair, IT Support for residences and businesses, data recovery, and IT Consulting. Computer repair from desktop, server, to laptop repair of all makes and models. We do virus removal without reformatting so you don’t lose your important files or photos. We repair both hardware and software. We have no queue so come any time and we’ll start fixing your computer right away. 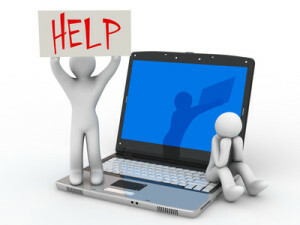 We do shop, onsite, and remote support and repair..
We do a full checkup once all work is completed. Bloatware, Malware, Spyware, Scamware, Ransomware, just some of the many nuisances of technology we are too familiar with. From removal of the above, hard drive and file system errors repair to cleanup of the registry – We are always using the latest and greatest tools at our dispense. We can provide training so you won’t get viruses again and help you maintain your system. We Guarantee our Work. Unlike the retail outlet repair shops, Geeks(something) for example, we individualize our work, research the issues at hand and provide you with a solution that you need – and not just a quick re-format. 95% of the virus/malware infections can be easily fixed without formatting the entire hard drive. We do all of this at a fair price, usually cheaper than the retail competitor. In addition, our computer technician will work with you to optimize your computer’s efficiency and usability by customizing and upgrading your system. We’re happy to advise you when you are considering replacing your current computer equipment. We don’t sell computers so you can feel confident that our advise and recommendations are based on your computing needs not ours. Fill out the form on the right or contact me at the number above.